Have you ever wondered why the most passionate, romantic, sexually charged and famous novelist of the nineteenth century married her father's curate? 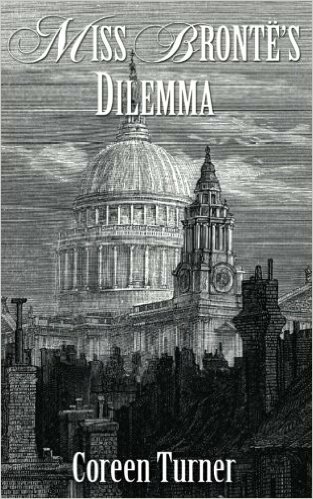 Or why a woman whose hero was the mad, bad and dangerous to know Lord Byron, and who broke her heart over a married man in Brussels should settle for a kind but dull clergyman? 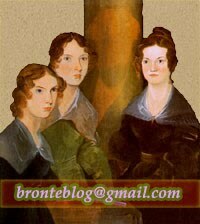 Although I could accept at times that it might be her need for help with her greatly loved but ailing father, I could not disregard the passion of the woman who revealed herself so clearly in Jane Eyre and Villette; and that is why I started on Miss Brontë's Dilemma. Charlotte would be coping with the loneliness and grief following her serial bereavements; Mr Nicholl's proposal had the attraction of familiarity and convenience as far as Mr Brontë's needs were concerned. But could she, could she really cast aside her own needs and nature? Then I remembered her long and interesting correspondence with William Smith Williams, his encouragement after she sent him The Professor, his immediate response to Jane Eyre, and her subsequent visits to London, to his family, to George Smith who she surely felt would be an acceptable husband, until he confounded her by announcing his engagement. What an appropriate, experienced and positive confidante Williams would make for her, as she tried to decide on marriage to Mr Nicholls. In Miss Brontë's Dilemma he accompanies her on a journey he is uniquely qualified to take, through the surprising adulterous relationships of the Victorian literary giants; she becomes aware of the sexual freedom her contemporaries have enjoyed and is then equipped to make her decision. And her relationship with Mr Williams? Things are never simple. 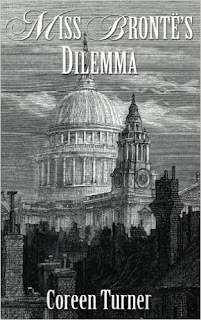 Miss Brontë's Dilemma by Coreen Turner, available in paperback on Amazon.